ECB managing director Paul Downtown said "Clearly this was a tough decision because Kevin has been such an outstanding player for England, as the fact that he is the country's leading run scorer in international cricket demonstrates." "However, everyone was aware that there was a need to begin the long-term planning after the Australia tour." "Therefore we have decided the time is right to look to the future. England cricket owes a debt of gratitude to Kevin, who has proved to be one of the most talented and exciting players to ever represent the country and his 13,797 runs are a testimony to his immense skill." "This decision brings some clarity now for the future of the England teams and we all wish Kevin the very best in the rest of his career." 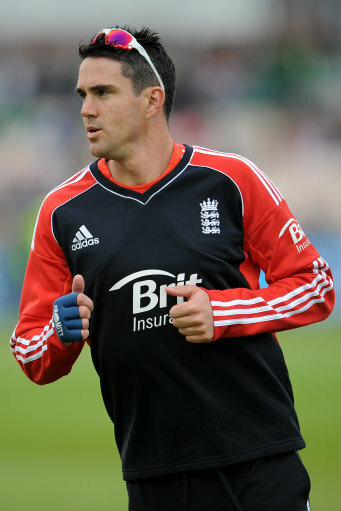 KP played 104 tests with an average of 47.38, although for much of his career, he was averaging over 50. It was probably the worst tour by an England side, that ended up coming back from Australia, devoid of any idea on how to stop the Australian side as they regained the Ashes, by bullying and beating up this England team. Pietersen was actually the highest run scorer for England in Australia, so we must think they have someone better lined up, obviously someone so good, they held them back from the tour down under! Is the '100 Format' a good idea?